For a reason articulated a bit more specifically below, the Martin Luther King, Jr. holiday is an appropriate day for my first post of 2014. Our new Interdisciplinary Research Incubator for the Study of Social (In)equality (or, IRISE) at the University of Denver is seeking a Post Doctoral Fellow for a two year position dedicated to studying inequality in the provision of access to open space. The position begins September 1, 2014, and we’re actively soliciting applications. A position description containing complete details is at the end of this post, and also available here. The IRISE Fellow’s research should focus on the relationships between racial, ethnic, and socioeconomic inequality and decisions about the location, funding, and protection of public open space in the metropolitan United States. As we’ve argued many times in posts for this blog, Denver is an excellent city for studying the relationship between minority group interests and the quality of our built environment. Denver tends to rank highly in terms of availability and accessibility of parkland, but there are worries that the city is slipping. The IRISE Fellow might examine how open space legislation and its conservation partners have developed priorities for distributing funds in the Denver region and the extent to which such funding has rectified, ameliorated, or aggravated inequity in access to open space. Or, the Fellow might analyze bond measures or federal sources of funding, including the Land and Water Conservation Fund, for their impact on open space accessibility. Other research foci are welcome, depending on the candidate’s interests and skills. I’m personally interested in how the planning and design of urban parks and other open spaces can discourage use by minority groups even where access is relatively equal. There’s a small but growing literature on intercultural parks (e.g., see here) suggesting that minority cultures easily read visual cues of inclusivity and exclusivity in the landscape. Is minority history marked in urban parks? Are place names and other signage a turn-off to minority groups? Is there spatial sufficiency for conducting a variety of outdoor activities? Are culturally appropriate facilities and amenities available? Is space activated in a way that attracts minority group interest? Denver’s city government and citizenry are currently very concerned with how we “activate” our urban parks. The biggest issue right now concerns redevelopment in City Park, Denver’s largest. 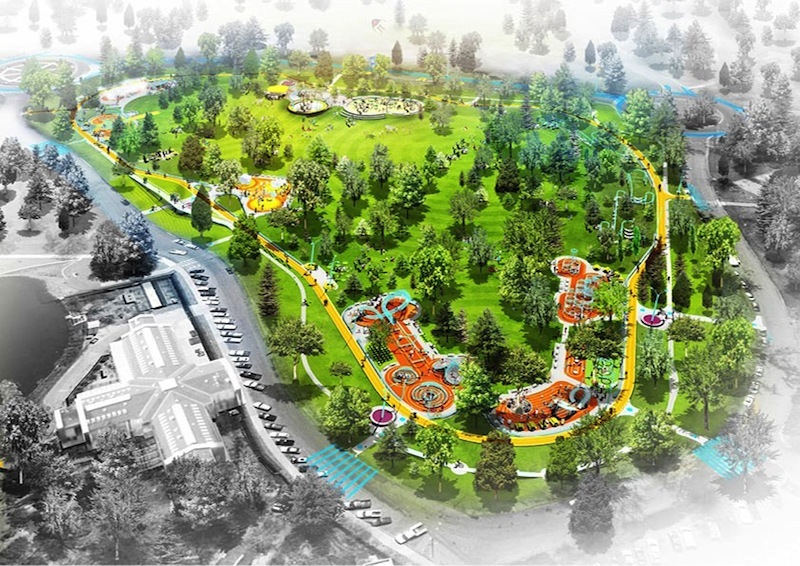 The “City Loop” project proposes to replace a decaying playground with 13 acres of skate parks, rain gardens, spiral slides, kiosks, and other amusements circumscribed by a half mile long, brightly colored “kinetic” plastic tube that bends, folds, inflates, and twists into a variety of programmed spaces and enclosures. The proposal has prompted great debate among citizens in adjacent neighborhoods worried about traffic, noise, loss of open green space, and maintenance costs. Many are concerned that the city’s desire for something novel and even iconic in parkland activation will produce a “Disneyfied” landscape that’s disconnected from the park’s environmental and historical context and corrosive of any sense of urban place. 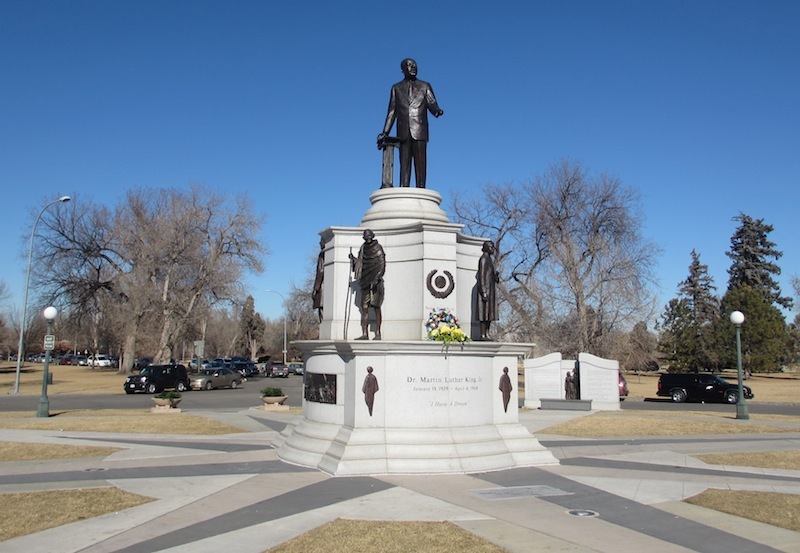 Some are concerned that close proximity of City Loop’s plastic structures and anticipated noisy activities to the park’s Martin Luther King, Jr. Monument will violate the dignity and contemplative quality of that solemn space. Mostly, citizens are concerned that there’s been almost no community involvement and consultation in the City Loop planning and design process, something that’s prompted development of a Stop City Loop website. Other Denver parks are undergoing redevelopment and more are targeted (e.g., Civic Center Park is a longstanding source of concern). There are compelling questions about community access and participatory decision-making where all of Denver’s parks and open spaces are concerned. These questions beg historical, archival, and ethnographic research in a collaborative, interdisciplinary environment. Actively promoting collaborative, integrative thought is the purpose of our Post-Doctoral Fellowship in the study of urban open space, and the orienting mission of IRISE generally. This essay was reposted to Sustainable Cities Collective.